Hi all - I'm currently seeking some people with time to update a section of the site - the formerly 'Who is IC?' section, now named IC Bibliography. In the previous version of the site and plugin we used to manage this, we didn't have quite so many options. The upgrade has revealed just how much more extensive the section can be. So we need help in updating a few extended sections. 1/ Editions. 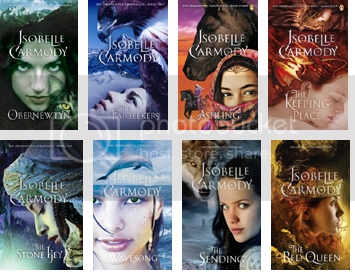 Each current Book has a number of covers. I've added an 'edition' to Little Fur (book 1), to see how it'll view. "This edition of Obernewtyn was published by Penguin in 2007. It was the first edition to feature a photograph of Elspeth, as opposed to all other editions which featured stylised / artistic renditions of the protagonist. The US Random House edition also uses this cover, and was extensively edited prior to being released [list]". "This is the Point SF version of Scatterlings, published only in the UK in 2004" (or whenever it was). Yes it can be as short as that. a) a single image of all the book covers in that section. This needs to use the existing book covers (whatever editions you think are appropriate), with 10 pixels padding between each (be precise here please). Make sure they're all the same height (130px). No background colour - save as transparent, 24-bit png. If it goes beyond 600px width, wrap to the next line (10 px padding between images vertically as well). b) a blurb. This needs to be a summary of The Obernewtyn Chronicles, a summary of Legendsong, etc. This includes the 'series'/sections such as Children's books and Standalone books. I've also only very quickly categorised the books that aren't part of a series - I was torn on whether to add Greylands to children's books, etc. Am open to moving books around if they don't suit the series/section they're in. There's no points going for this but it's basically being put out there for the people who offered to help with the post-hack site upgrade. Anything you do, please post in this thread, so nobody else does it. And thank you :) this all helps in getting the site back up and functioning properly again. I really like the rearrangement of the booklist, and I think the changes are great! Definitely makes it clearer and easier to follow. I also really like your ideas listed above. I'd like to help but I look at the inside of the books and get confused :S . Is there any easy way to go about getting the information required? Like I open up my copy of The Gathering and it starts off with Puffin on the first line (no address info) but then goes to Penguin Australia Ltd (with Address), Penguin Ltd. (for England), Viking Penguin (for USA), etc, and at the end says first published in 1993 ... but I'm pretty certain mine is a 1994 soft cover edition which isn't stated anywhere but I gather that from googling the ISBN. And from some of the searches I found the USA version was first published by Dial in 93 or 94. Maybe someone can post some tips? I could try and do a few Min, for option 1. "This edition of Scatterlings was published by Puffin in 1992." (this is the one with Isobelle Carmody down the side of the cover). "This edition of Billy Thunder and The Night Gate was published by Puffin in 2000." "This edition of The Gathering was published in 1993 by Puffin." Thanks guys. Arwen that's the main part of what we need, so everyone that's about as tricky as it has to get, if you're wanting to help. Maybe we can add a list to the top thread with info added, or info required. If people come across any additional info we can add as we go I suppose (otherwise I'm thinking we'll never get some of those sections updated, as we'll always be waiting on more information). I can do some of the obscure ones too, I have a load of different editions - but want to leave it to you guys first as you all said you wanted to help (here and in the Help board / restored thread) and I can spend my time coding instead that way. Who wants to write the list up of what's still required? Is this the kind of thing you want for the series pictures? I'm just going to have a go at getting some of the Little Fur books organised. I'll do the covers and the writeup, since it makes sense to do them all together. Maybe we can add a list to the top thread with info added, or info required. If people come across any additional info we can add as we go I suppose (otherwise I'm thinking we'll never get some of those sections updated, as we'll always be waiting on more information). 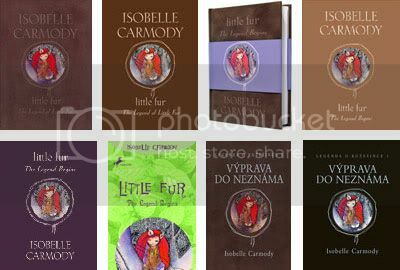 Yeap IE - but just make each book cover 80px wide so they're even (doesn't matter if they're a little more or less in the stock image, just crop or extend it to suit (adding 1 pixel here and there to the size if necessary won't visably distort the image). I think we have all of the covers in the individual book page sections, we just need them compiled into images for the Series (or top category) area. Here's Little Fur. It was the hardest - I wasn't sure if I should go at close as I could to 600 pixels wide, or split the covers over both lines. This seemed to work the best, as it looked weird having a big gap on the second line. Is this okay? ^ That should be right. Did you finish all of the groups Zier, or is there still more to do? I haven't done any of the Ober books, EI. Wildheart is more a picture book than a graphic novel, so I think it would be best if we move it. Would that be okay? Also, I wasn't sure if we should have a separate cover for Magic Night, since the names are so different, and the text has been changed? I will attempt to come up with Obernewtyn Editions, but since there are lots of obscure ones I'll probably miss a few. ~Link~ : Bertrand Editora, 2008, ?? Those really are very pretty covers EI! I have a copy of the anthology "Families" if you need a photo of it. I noticed it was missing from Ziera's post. I'm really sorry I haven't done more on this, I just haven't had a chance, what with uni work and having gotten sick recently. I'm hoping I'll manage to find some time to do some soon! I meant matching the covers to the years/publishers, sorry, my bad. 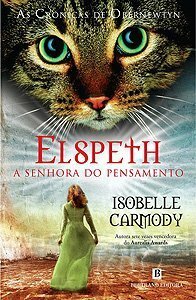 WOW, I love those Portugese covers! I've made a couple of the updates and added a few sample editions (to Obernewtyn: ~Link~ ) and I'm adding Zier as a collaborator of this section (since she's the keeper of the awesome booklist thread, and we discussed it at Melbourne Supanova).